This year, the Ecology Action Center will incorporate the Summer Reading Program theme, “It’s Showtime at Your Library!” by offering a reading and discussion of “Why Should I Recycle?” In this program we will focus on why reusing and recycling items are more favorable options than filling up our landfills as we follow the story of one family’s quest to properly recycle all that they can. We will follow this up with a fun activity and discussion about the various everyday items that can be reused and recycled into new items that we may not even realize are made from recycled materials! Purchase plants for enhancing or creating a Butterfly Garden, Hummingbird Garden, Drought-tolerant Garden, Rain Garden, Shade Garden, or an Urban Garden (plants under 3 feet). Proceeds from the sale help the chapter fund their Wild Forever Grant Program and our monthly educational programming. A tentative list of plants they hope to have available at the 2019 sale is available for download HERE. Members get a discount on all plants. Join Wild Ones the day of the plant sale to receive the member discount. Prices of plants for members and non-members will be available closer to the date of the sale. Native Americans and early settlers saw the prairie as their home – a place that supplied everything from groceries to textiles to medicine to love charms. Join prairie steward, Cindy Crosby, for interactive stories of prairie ethnobotany – how people have used prairie plants throughout history – and the potential resources our prairie plants may hold for the future. Cindy Crosby is the author, compiler, or contributor to more than 20 books, including “Tallgrass Prairie Converstaions: In Search of the Prairie Spirit” (with Thomas Dean, 2017). 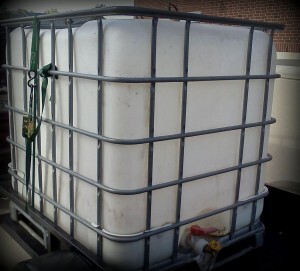 Learn more about Cindy at www.cindycrosby.com. 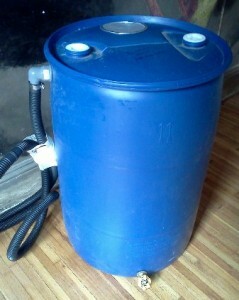 Join us at our upcoming rain barrel workshop on Thursday, May 9, 2019 at 6:00 p.m., where YOU build your own water-saving rain water collection and storage container. Join us to celebrate the Earth in the Frontier Parking lot to the South of our store (with the mural). We will be hosting a range of businesses and organizations that are doing their part to promote a happy and healthy earth! The Street Fair will take place on the 100 block of West Jefferson Street and 200 block of North Main Street on Museum Square, and inside the Museum on the first floor in the rotunda. Participating businesses/trades will offer thematic activities for attendees to observe and try for themselves. Visit the Museum’s booth to pick up a map complete with information about participating businesses/trades and to make-and-take your very own job hat. Additionally, visitors are encouraged to go inside the Museum to explore the newest permanent exhibit Challenges, Choices, and Change: Working for a Living, which opened in September 2018. A step-by-step series spanning the growing season to learn to grow what you eat and eat what you grow. Get your hands dirty while you learn the skills for seasons to come! Topics include: soil health, variety selection, crop rotation, tool selection, insect and disease management, harvest, storage and preservation, composting, seed saving, and more! 11 sessions every other Tuesday from 6:00 – 8:00pm from April 23 through September 10 at the Unity Community Center Garden (632 Orlando Ave, Normal, IL). Your $100 registration includes: 11 hands-on learning sessions, learning materials, seed and tool for use on site, the comprehensive guide book Vegetable Gardening in the Midwest, and a share of the produce you grow. 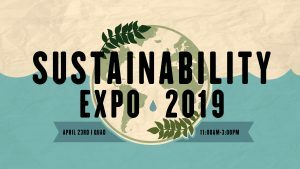 The Sustainability Expo, hosted by the Student Sustainability Committee, allows student organizations and community groups to showcase their work as it relates to environmental and social sustainability. There will also be a bottle swap event! Bring in any clean glass bottle, used coat, or school supplies that you might have laying around and you can trade them in for a plant or flower!